The 87th Academy Awards ceremony will be held at the Dolby Theatre, Hollywood, on 22nd February 2015. 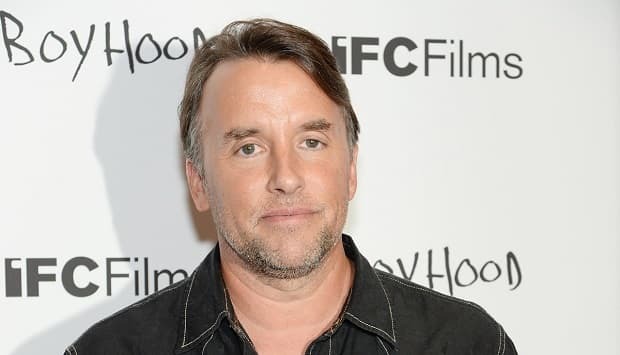 One of the most prestigious individual awards is that of Best Director, and Richard Linklater is the clear favourite to take the award for his twelve-year shoot of Boyhood. The Oscar nominees are not announced until the 15th of January, and the behind-the-scenes lobbying that comes with ‘awards season’ will be in full swing between now and then. Most of the films that are likely to be under consideration for the awards have been released now, and it’s a good time to look forward to the main event, before the odds contract as we move closer to big night. Richard Linklater has been nominated twice previously for his screenplays (Before Sunset and Before Midnight), but never as a director. His epic project, Boyhood, was twelve years in the making and charts a boy’s life from childhood to adulthood. The actors met for a few days of filming each year, and the result is an astounding film, which enables the viewer to literally watch as the characters grow up. It has a 99% rating on movie website Rotten Tomatoes, and is one of only eleven films ever to receive a metascore of 100 – the highest score a movie can attain from professional critics. The fact that so much could have gone wrong over the twelve years, and that it could have finished as a fragmented piece makes the achievement all the more remarkable. Not only is this a unique feat of directing, but it has also resulted in a superb film that is one of the strong contenders for this year’s Best Picture. The odds may be short for Linklater, but at this time, they look entirely justifiable. The biggest danger may come from Alejandro Gonzalez Inarritu for his work on Birdman. Micheal Keaton is hotly tipped for Best Actor in the role of a washed-up actor trying to put on a Broadway show. the movie is shot so as to give the impression that it was one long take, and it has received excellent reviews and achieved a metascore of 89/100. Inarritu has been nominated four times in other categories, and this is his second for Best Director after being nominated for ‘Babel’ in 2006. One year after Alfonso Cuaron became the first Hispanic winner of the award for Gravity, Inarritu could become the second if Linklater is shunned. We’ve already tipped Angelina Jolie’s Unbroken to take the Oscar for best picture, and she is bidding to become just the fifth female director to be nominated for the award. The story is a remarkable one; it charts the struggles of a former Olympic runner in Japanese prisoner of war camps during the second world war. It is a powerful story of triumph over adversity, and is one we expect to do well during awards season. Jolie appears to have made the transition from actor to director well, but the movie may receive it’s recognition in other categories rather than this one. Christopher Nolan is acclaimed as one of the best directors of our time, after his work on Inception and the Dark Knight series. Interstellar is a Science fiction movie based around a group of people who travel through a wormhole in search of a habitable planet after earth has been devastated by drought and famine. It has the fanfare that surrounded Gravity last year, but has received mixed reviews since its release. Nolan is certainly deserving of a Best Director Oscar, and you suspect he will win one before too long, but it may not be with Interstellar. The odds on Linklater are short, and those looking for an outsider could do worse than backing Morten Tyldum for his work on The Imitation Game. Starring Benedict Cumberbatch, the film tells the story of the English mathematician, Alan Turing, who helped to solve the enigma code during world war two. The up and coming Norwegian director is probably best-known for his work on Headhunters, and has received rave reviews for his work on the suspenseful ‘The Imitation Game’. The movie is also produced by the Weinstein Company, and Harvey Weinstein is well-known for the huge amount of support he gives his films leading up to the Oscars. The same company produced the King’s Speech which took the awards for Best Picture and Best Director (Tom Hooper) in 2010. It’s been a good year for film, and there are several contenders for this award. The one that really stands out however, is Boyhood. I rarely tip anything at odds-on, but for this film, and this director I will make an exception. While other directors have used different techniques of story-telling, and different visual qualities to enhance the movie, Linklater has taken his concept from the ‘Before’ series to a new level and done something that is entirely new and unique. The ‘Before’ series followed the relationship of two people over the course of several years, but where those films dropped in on the couple at three distinct points in their lives, Boyhood follows life and growth much more closely. It is illegal for anyone in America to sign a contract that lasts more than seven years, so each of the actors had to make a twelve-year commitment on good faith. The lead character of the film is played by Ellar Coltrane, who was 7 when filming began, and it was his first acting role. For Linklater and the production company behind ‘Boyhood’, a twelve-year project deserves to be recognized for the remarkable achievement that it is. Nominations announced 15th January 2015, Awards ceremony held in Hollywood 22nd February 2015.